If youve never heard of a Rob Legg before let me start by saying this boat is amazing! Launches in a foot of water, self righting, impossible to capsize and unsinkable! It even has a motor well so you dont an ugly outboard motor hanging off the back of your sailboat. 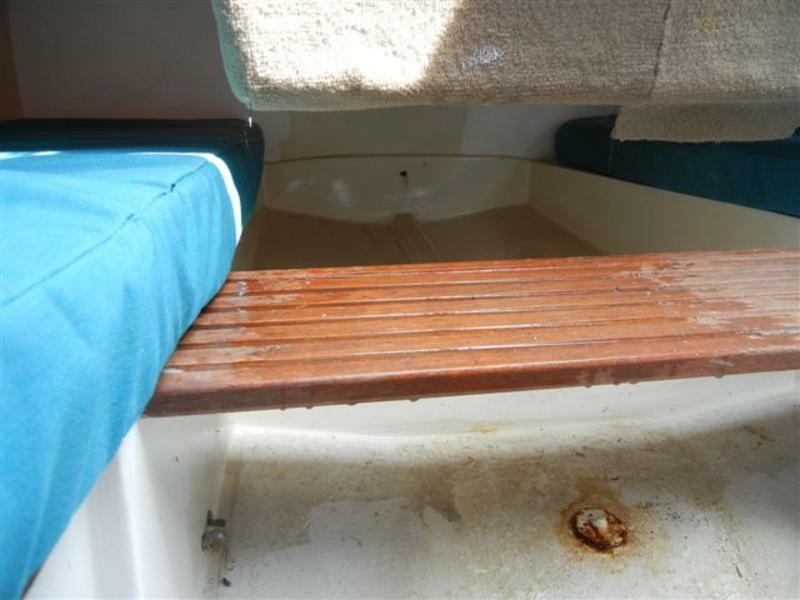 Included with the boat: The trailer is in fair condition and comes with a new spare tire. 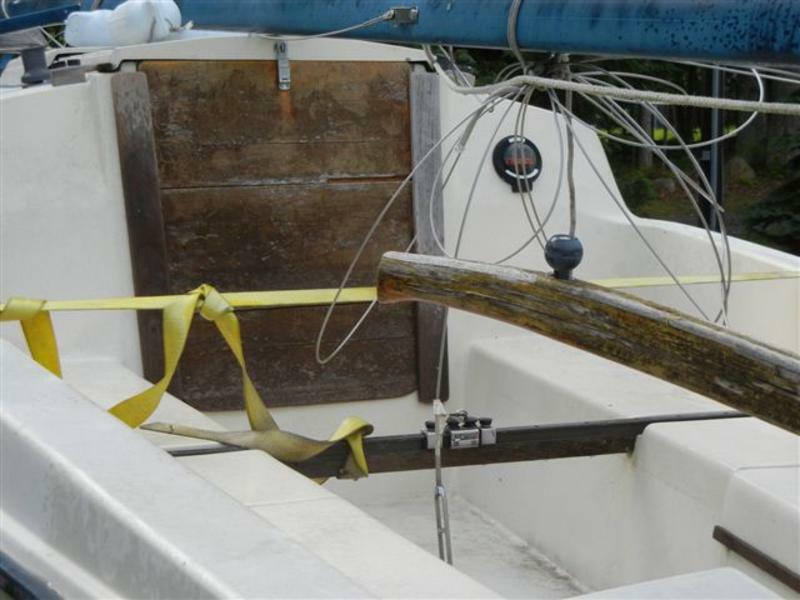 The main and jib sails are in good condition and were kept in the house. The Suzuki outboard motor works and was kept in the garage. The 4 cushions were reconditioned with waterproof fabric, are in very good condition and have 2 matching pillows. The marine battery still holds a charge. 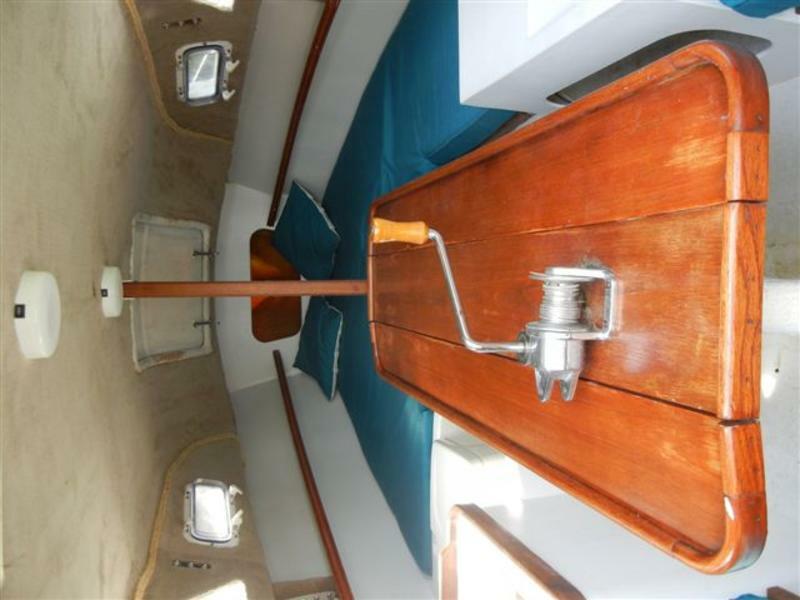 It also comes with 2 adult life jackets, 2 square life preservers, a port-a-potty, a stove, an anchor, swim ladder, a fire extinguisher, flares, air horn, some ropes, extra mainsheet that needs to be fixed, teak oil, boat polish and other little things. 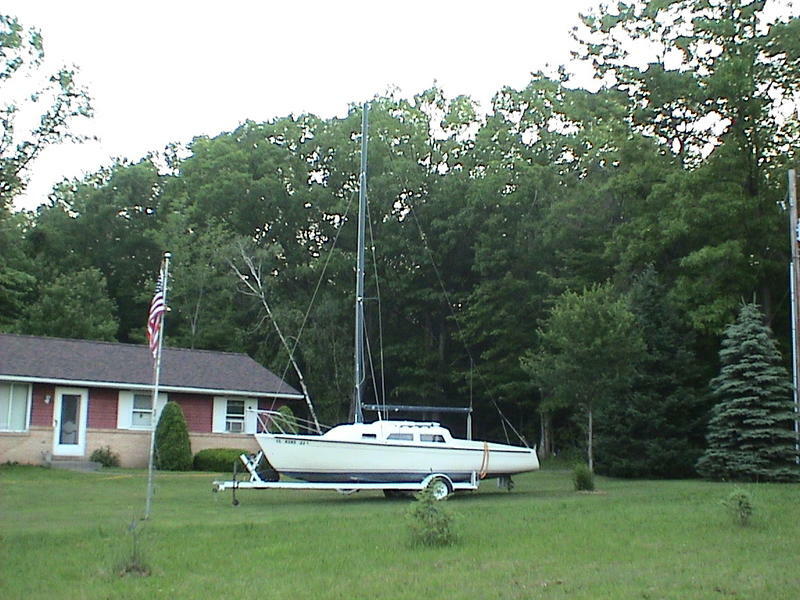 Heres the list of boats less than appealing traits: It has beach rash, there was a spot of damage to the hull that was repaired before I bought it, the ropes are old, the plexiglass windows are cracked, the tiller needs to be revarnished, the cabin door planks work but should be replaced, the mast lights plug is missing, the wind veins tail needs to be glued back on, no lid for the ice box and the cleat on the boom for the rope that keeps the main sail taught is broken. This boat is ready to go sailing as-is but youd probably want to at least get a new cleat for the boom (you can just tie the rope off but I hope youd want to show your new boat some love).